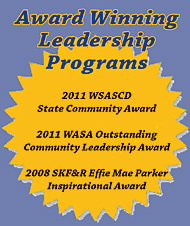 Federal Way Public Schools (FWPS) is a leader in continual innovation among public schools in the state and nation. Case in point: The district is currently implementing a full standards-based education system, to ensure clear learning targets in every class across the district, common ways to assess student progress and effective communications with students and parents/guardians. Advocacy for all who live in the communities they serve, especially the most vulnerable. CHI pursues social justice for all through internal integrity, community partnerships, legislative activism and shareholder activism. The Mission and Ministry Fund, which has awarded more than 300 grants totaling more than $38 million for new initiatives to promote and sustain healthy communities. Community Benefit programs – such as meal programs and free clinics – and financial assistance, which totals more than $590 million annually across the organization. www.valleycities.org/ Valley Cities is a community behavioral health center established by the people of South King County in 1965. Today, we operate comprehensive outpatient clinics in Auburn, Enumclaw, Federal Way, Kent, Meridian (Northgate), Midway (Des Moines), Rainier Beach, and Renton.